Well, I can't believe another year has flown by. Our new location in the Arts & Culture district of Collingwood provides us with beautiful large bright windows, displays of colours and a good karma table area for gathering. We've had several graduates from our classes who have grown to love the relaxation that knitting provides us in our busy everyday lives. 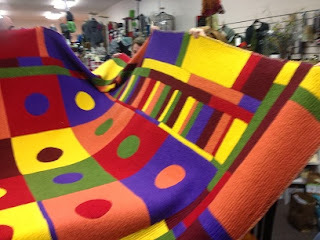 We have helped create heirloom baby blankets, family felted clogs, beaded cowls, hats and scarves, lace shawls, thrum mittens, needle felted animals, knitted Christmas Tree angels and much more. Thanks to all for supporting our shop. It's been a pleasure to guide you, help you, laugh with you and share knit afternoons with you. Wishing you a Very Merry Christmas and a Happy New Year!! In keeping with the spirit of "It's better to give than receive" here's your chance to do just that. Many of you have been waiting for this product. The first order has sold out and the second order is on the way. 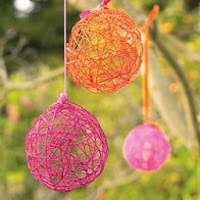 It comes in three colours, black, blue and red, and can be applied with a brush or even a scrap of cardboard. You should try this amazing latex product! 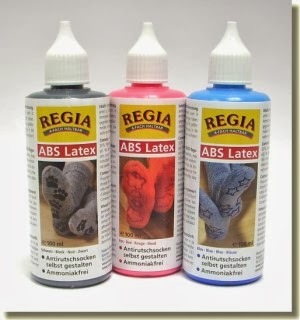 Applying Regia ABS Latex milk: To ensure the milk does not go right through the whole sock, cut 2 matching templates out of card the shape of the sole and insert into each sock. Mark out and paint the desired motif onto the socks with the latex milk freehand or using a stencil, applying the latex milk sparingly. Then allow the socks to dry well. You can use a gentle heat source to speed the drying process up. Paint over the stencil with the ABS until the thickness seems right. Allow the socks to dry well, preferably overnight. 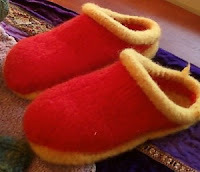 We just finished our Felting class this week. Boy did we have a great time!! Here is a mighty fine felted carpet created by one of Brown Sheep's customers. Who's up for making a carpet?? Green Gable Knits .... surprise!!! This delightful book is one of a series of books written by Joanna Johnson. 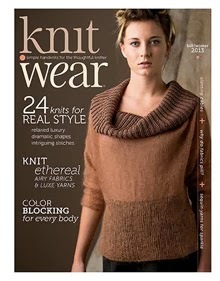 Her latest book called Green Gable Knits will be released next month. 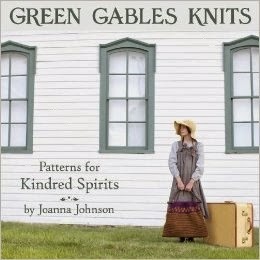 Aside from the Anne of Green Gables story line, the book boasts of many knitted patterns. Peggy Jo Wells owner of the Brown Sheep wool company mentioned this book and author to me. 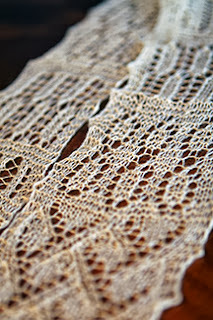 Joanna's knitted designs use many of the Brown Sheep wool choices. Grey Heron has been chosen as one of the exclusive yarn shops to review the book, patterns, conduct KALs etc.... CAN'T WAIT!! !